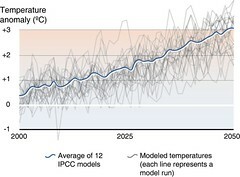 Projected Arctic annual land temperature increases for the first half of the 21st century relative to the average temperature for 1980–99. The average of the IPCC models (the blue line) shows an increase of 3ºC by 2050. 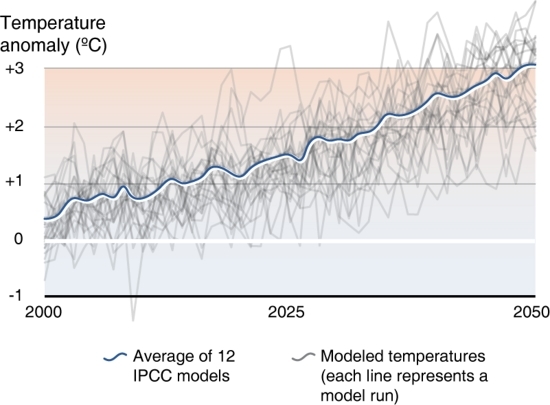 The averages of the runs from each of the 12 models show increases from 2–4ºC, the range of uncertainty in these model projections.